With a variety of capacities ranging from 30 to 45 cfm at 100 to 175 psi, there's a Tiger on the market to meet your needs. Ideal for applications in the tire and mechanic service markets. 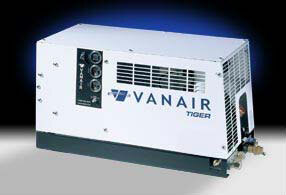 The Tiger is a natural upgrade from the Vanair Comet Hydraulic.